As a Squarespace authorized trainer, I specialize in memorable, modern, functional websites that are a breeze to update. A baseline, workable website tells your community the basics—what you do, where you are located, and how to contact you. You'd be surprised how many sites don't tick off these basic boxes! But for a site to really work for your business and encourage true connection with your customers and your community, it has to have an underlying strategy to guide its structure and content. Both sophisticated and accessible, Squarespace is a dynamic web site builder that enables me to create customized, professional websites that are so user-friendly that I can train my clients to post to their blog or add an event to their calendar with confidence. Taking control of your web presence is an empowering journey with lots of opportunities for small successes. My goal is for our Squarespace collaboration to bubble over with value for you, your community, and the big picture vision you have for your business or organization. The following descriptions outline different levels of service I offer depending on the scope of your needs. They are not set, finite offerings and no two websites are the same. Please contact me with any specific questions you have; I'm happy to speak with you! Bring your talent into view with a website that showcases your past and current work. 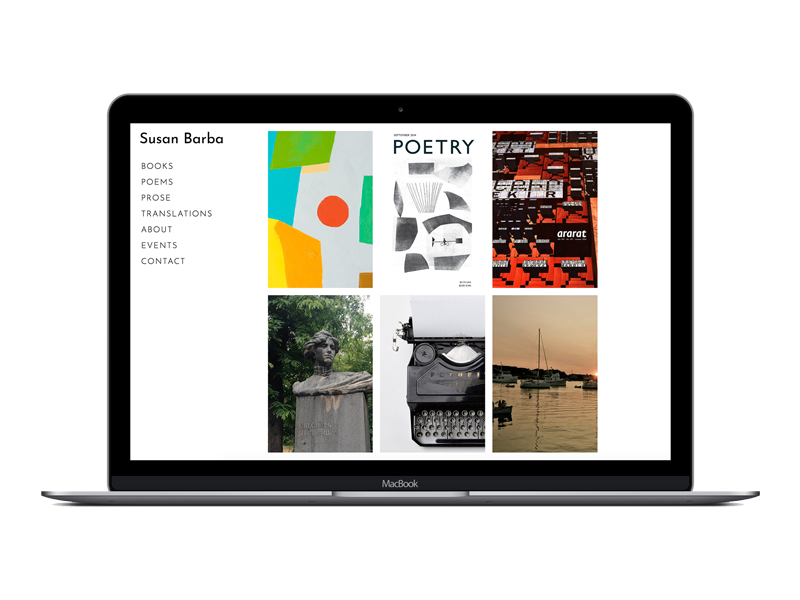 Portfolio sites are ideal for artists, photographers, writers, musicians, and professionals who want to stand out from the crowd. Get the basics right first, starting with a modern, mobile-friendly website. If you've been dragging your feet trying to decide how to best move forward in regards to an outdated or lifeless site, take heart. Your new site will satisfy all of the web essentials and then some, leaving you with a solid foothold for future growth. Saddled with a behemoth website from 2004 that doesn't inspire you or speak to where your business is right now? If you currently have a doozy of a website on your hands, fear not. If you're short on staff and time in your day-to-day, it is crucial to have a site that supports your team and makes everything from event registration to email marketing to social media as streamlined as possible. I will work closely with you to overcome your largest tech challenges, while creating a customized site that integrates fully into your work flow. needs an injection of new life and a fresh perspective? you're wondering if you should move it to Squarespace? These packages are meant to give you an idea of the value and cost of some of my most popular services. However, if you're not sure if your needs quite match up with them, please reach out for a custom quote. For instance, I offer bundled consulting hours to upgrade and further develop your current Squarespace site. I've also built Squarespace sites with more than 50 pages; so scaling is possible! Let's talk... I love a challenge! First things first; tell me more about what you want to accomplish with your new or your existing website. Why are you motivated to go in a new direction or make a change? We'll schedule a time to talk over the phone or via Google Hangout. This brief conversation is typically about 20 minutes and it's a free mini consultation meant to help us determine if we'd make a great team. After our consult, I will craft a proposal outlining the scope of your website redesign or new site build. I will include a baseline project cost with additional options that you may elect to add based on your budget and your short and long term goals. It's time to prepare to get this project rolling! After you review the proposal, make any edits or add an additional features, I will send you a contract confirming an outline of the project and the terms of our collaboration. Once you sign the contract and make a 50% deposit, it's go time! While I'm percolating over the best Squarespace template to start with and immersing myself in the world that your business or organization dwells in, you'll have a little work to complete on your end. This will be your time to collect and share important assets that you may already have (ex. logo, photos, mission statement, other copy) with me. I'll also send you a brand worksheet for you to complete; this questionnaire will give me greater insight into your ideal customer and the overall vibe and personality of your brand. We'll check in with each other over email or by phone to review your brand worksheet and to ensure that I have everything at my disposal that you would like to see incorporated in the new site. I'll send you a link to your site for your initial feedback; I'll make sure we're both on the same page and that you're loving the direction of the site. After confirming that you are thrilled with your new website, we'll schedule a time for me to give you a full tour of Squarespace. I'll create personalized videos of myself making the two or three edits that you are most likely going to make moving forward, like updating your open hours or posting to your blog. They'll be posted to Vimeo privately so that you can reference them. Later, when you go to add items to your site for the first time after launch, I'll be there to answer any questions you have. You'll be in control of your site and I'll be in the wings waiting to give you any guidance you need. When everything is set and we are ready to go live, I'll handle all of the technical aspects of getting your site up live. If you have a site currently, I'll be sure to utilize 301 redirects to make sure all future traffic to those past urls have somewhere to go on your new site. I'll submit a site map and request the indexing of your new site through Google's Search Console. After your launch, I'll check in with you and be available for email support for anything that comes up or to answer any of your questions. In the weeks after launch, I will check in with you to see if there are any issues that have come up for you in utilizing the site. I'm here for you! How much does Squarespace cost and what does it include? A full breakdown of Squarespace pricing can be found on their pricing page. The basic plan costs $144 a year (paid yearly); the majority of my clients opt for their business plan, which is $216 a year. This plan allows for CSS customization, Mailchimp integration, the ability to sell products and accept donations. All Squarespace accounts include hosting. As a Squarespace Circle Member, if I create your site you will save 20% off your first year of Squarespace when you purchase an annual plan. I already have a domain. How does that work with Squarespace? It's easy to take a domain you already own and point it to your new site on Squarespace. This is no big deal and I can do it for you! Is Squarespace really the best website builder for everyone? You can host many different types of websites with Squarespace, but depending on the type of site you need, it may not be a perfect fit. Specifically, while it does have online store capabilities, businesses with a wide range of products and large inventories might find something commerce-specific like Shopify to be a better match. Similarly, blog specific websites will find increased functionality with Wordpress. You can certainly have a well-functioning blog and online store on your Squarespace site though. I offer branding services within all my web packages that include selecting colors, fonts, and an overall design aesthetic that speaks to your business's personality and your ideal customer. I have created simple, typically font-driven logos for clients. Some have needed something immediately that they can work with and in time they make an investment in working with a graphic designer. For those that need significant logo and brand assets from the start, I've put them in touch with designers that I've worked with in the past. Do you build websites using other website builders? At this time, I only create new websites for clients on Squarespace. Wordpress is a robust CMS (content management system) with a large amount of flexibility but the degree to which it needs constant updates and complicated plugins makes creating something that is easy for my clients to maintain moving forward is challenging. Wix and Weebly are more similar to Squarespace, but I am partial to Squarespace's templates, editing interface, and the overall value it includes. That said, I do offer consulting services related to other non-platform specific web needs—namely social media strategy, search engine optimization, copy editing, and web structure and organization. Do you offer ongoing maintenance moving forward after launch? I think it's invaluable to feel like you can update your site moving forward; and that's one of the many reasons that I love Squarespace, but I also understand that there is such a thing as wearing too many hats when you're a part of a small business or organization. I offer maintenance and consulting service pcakages that bundles hours that can applied to everything from adding new events to your website's events calendar, crafting original blog content, or spiffing up your next email marketing campaign. So don't worry; you'll stil be able to tap into my support and expertise even after launch. Not sure what you need? Have a general question about Squarespace or my services? Shoot me an email! Do you believe in meaningful coincidences? I do! Consider this your signal from the universe to stay in touch. Sign-up to receive the occasional email from me that includes updates about new Squarespace features that may help your business and tidbits of digital genius I stumble upon.